What does it look like from the ground ? Have a look at the picture on the right. See how mining has an impact on the natural landscape ? Mining is just one of the ways men can use land and its resources. In geography, land use is the description of how people utilize the land: fields ? pastures ? settlements ? forests ? mines ? etc. Escondida mine, Chile. 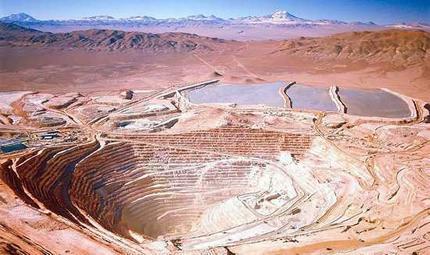 Photo: BHP Billiton Group.